Variety of the Mediterranean kitchen Restaurant Het Zuiden is a charming restaurant in the center of Utrecht. 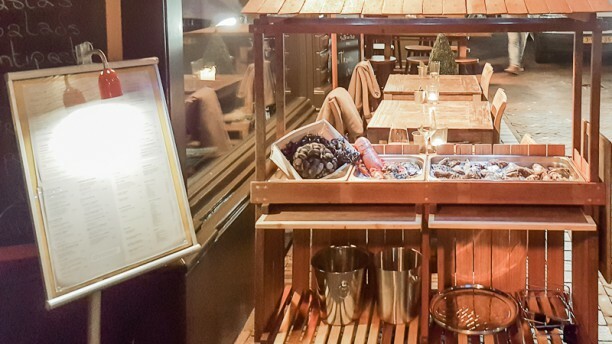 Het Zuiden has a very varied menu with dishes from various South European countries. The dishes are prepared with fresh ingredients and served in a contemporary way and are always served with tasty prepared seasonal vegetables. Outside is a pleasant terrace where you can enjoy a meal or a drink when the weather is nice. A great place to go when you are in Utrecht! Nice restaurant, service is good and correct. Dear Brigitte, thank you for your review! Happy to welcome you again in our restaurant. The food was delicious and prepared perfectly. Great lamb and sea bream out of the green egg. Good wines to go with the dishes. Quick and friendly service. Both of us had the 3 course menu. One had the Dry Aged Ribeye and the other the combination from Salmon and Prawn. All the dishes came really well presented and were delicious. If there is one downside is that the malbec served is different from the one on the menu (a reserva and the one served was a regular malbec). Would definitely visit it again. Good food; Nice service, but A bit expensieve for the quality offered. We Will think twice before going back. I don’t think the budget will allow us. excellent cuisines and a good mood of christmas;) services were very friendly and kind. i would like to recommend to others! one thing, the price was not discounted even though it should have been with an early bird dinner discount. Very slow service. Nobody asks if you want to have a drink when your glass has been empty for nearly 30 minutes and you eventually ask for a drink yourself. Food was tasty and a savior. Great food! Great service! Great restaurant! Great service, nice atmosphere and very good food. Great dinner overall. Really good price / quality relation. Always fresh food, quickly served and delicious . Had a pleasant lunch here this week, Mediterranean menu, lots of tapas and as their name suggests plenty of meat and fish but they are clever enough to realise that some Dutch customers like more familiar dishes such as uitsmijter which is also on the menu. I took the mushroom salad and my friend the duckbreast salad. we had no complaints abput either! Nice modern decor. The service was fast, friendly and efficient. Our waiter was Guiseppi , did a great job!